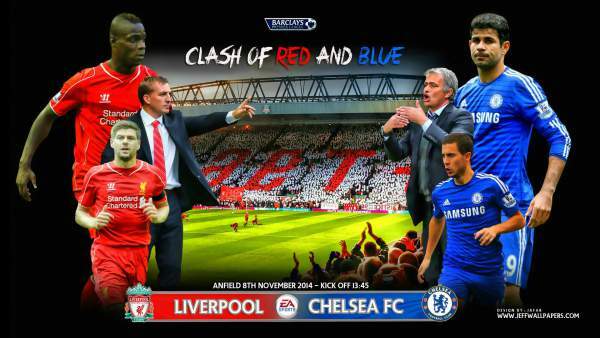 Chelsea plays Liverpool in the United States of America for their match. Both the teams will be playing their first game in the tournament as they play in the group 1 with eight other teams including Barcelona, Real Madrid, Bayern Munich and many other. 28th July 2016 at 20:30 (IST). Rose Bowl, United States of America. Chelsea is one of the strong teams that play in the Premier league but we all know Premier league is known for its twist and turns, and every team that plays in the league is as strong as the other. Chelsea won the 2014/15 league but in the last season they struggles to finish in the top 10, that is the power of Premier league teams. They have appointed a new manager this season as Conte joins the team after Mourinho’s departure and their interim manager. They have signed a new striker Mitch Batshuayi from Marseille and have signed him for five years, and they have also signed N’Golo Kante from Leicester City. They have extended contracts of some players have well including William till 2020. In the 2015/16 season, they finished 10th on the table wi9th 50 points from the 38 games they played, winning 12, drawing 14 and losing 12, scoring 59 and conceding 53 goals in total. Talking about Liverpool, they were once a very strong side but haven’t been up to the mark in their last few years. They have not won the league for a very long time, and they need to work very hard if they want to clinch the title. They appointed a new manager last season, and now he has made some changes to the squad as well, he has bought Sadio Mane from Southampton, Ragnar Klavan from FC Augsburg, Georginio Wijnaldum from Newcastle United and Alexander Manninger from KAA Gent. Last season they finished eighth on the table with 60 points from the 38 games they played, winning 16, drawing 12 and losing ten games in total, scoring 63 and conceding 50 goals. You can watch it live on Sony ESPN. Check back for the match result, full video highlights, complete scorecard, and much more. Don’t forget to share it on social media sites like Facebook, Twitter, Google Plus, etc. BTW, who do you think will win the game? Stay tuned to The Reporter Times for latest football news and other sports updates across the globe.